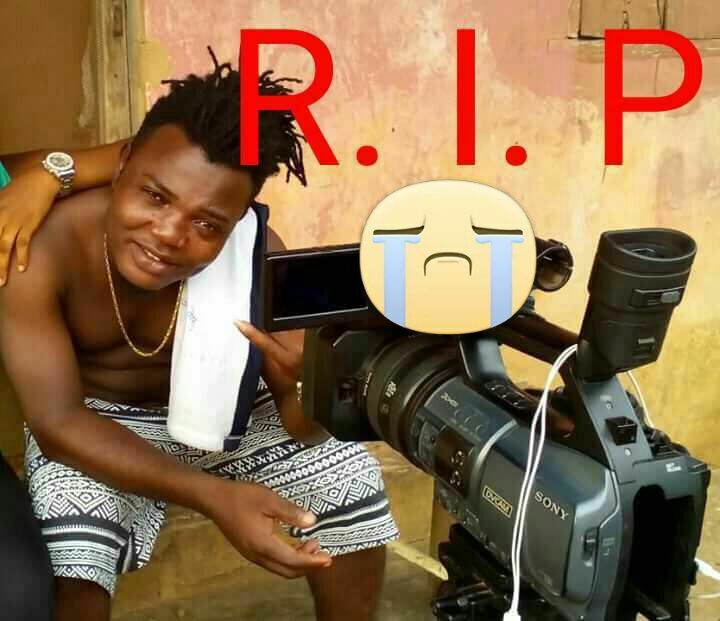 Fast rising Nollywood producer Friday Ugwu has died. 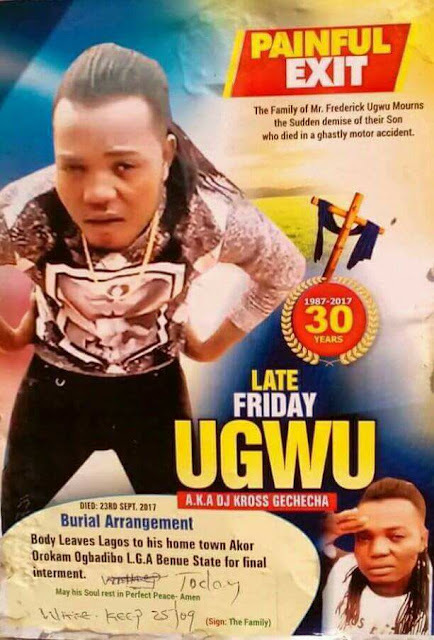 The deceased popularly called Okaka De Don & DJ Kross Gechecha died on Saturday night in a ghastly motor accident that happened on Lagos Badagry Express way in Ojo area of Lagos state. According to friends, Ugwu and his friend were returning from the night club on Saturday when a reckless trailer driver ran over them, crushing both to death. Their corpses have been deposited at the mortuary as sympathizers dragged the driver of the trailer to a nearby police station. Friday Ugwu’s death was confirmed yesterday by an official of AGN Benue state Chapter Mr Gideon Ameh. His wake keep will hold today, Monday the 25th of September 2017 in Benue state. Here is the obituary notice his family released yesterday. rest in peace,please our youth should stop drinking and driving. Gone too soon, rest in peace Amen!